Our cloud-based solutions support the requirements of global, multi-generational and reliant workforce. We develop, fully design, host and also promote B2B and B2C portals to ensure business growth. As 2019 passes us day by day, the landscape of digital marketing is going through a lot of changes. Comprising of some of the best elements of internet marketing such as SEO, PPC, social media marketing, content marketing, and so much more, there is certainly a very dramatic shift in the dynamics of digital marketing. There are so many new trends that have come forth in the world of digital marketing and we think that it is wise if you try and grasp the concept of these trends in order to have the full blast of digital marketing. 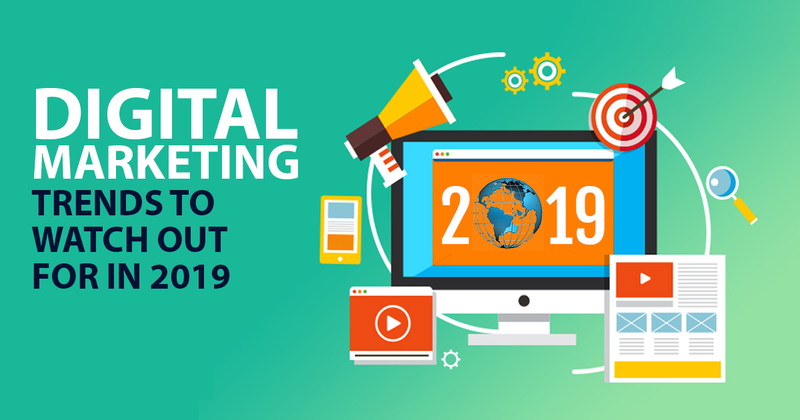 As promised, here are some of the newest digital marketing trends in 2019 that you shouldn’t be ignoring. All we can say in here is that AI is here to take over the entire world of digital marketing. With the help of AI, consumer behavior can be very easily analyzed which will be a great help to the businesses in understanding the likes and dislikes of the customers. This lends a hand in the improvement of customer service. It was recently when Chatbots entered the world of digital marketing and it uses the AI technology in order to provide seamless service to the visitors of any particular site. About 80% of all the businesses are currently using the chatbots and this percentage is supposed to increase with time. For online business owners, it is really important to personalize their marketing standards. Having personalized products, content, and emails is really important. There is always the help from the customer data which can provide insight into the behavioral patterns of the customer which in turn lends a hand in creating personalized experiences for the customers. Videos are the real deal nowadays and there is no doubt about that. 70% of all the consumers say that they like to share the video brands. About 72% of the businesses have videos to thank for the increase in their rates of conversion. With the help of product videos and content, businesses can reach more people and drive more sales for their brand. So, these are some of the important digital marketing trends that you need to look into if you want to survive in the world of online business. At PCS, we master and experiment with newer technologies and services to keep ourselves ahead of the curb. This blog not only shares our ideas but also what's cooking in PCS, latest news and sharp ideas. So enjoy reading and let us know your views and ideas. Zomato data breach – How safe is our data?